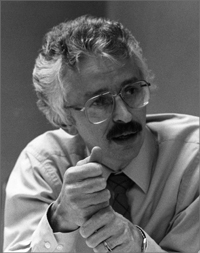 Siegfried S. Hecker is a Research Professor at Stanford University (2005-present). Other institutional affiliations include the Center for International Security and Cooperation at Stanford University and Los Alamos National Laboratory. His research interests include plutonium metallurgy and the nuclear arms race. October 2, 1943Birth, Tomaszow (Radom, Poland). 1965Obtained BS, Case Western Reserve University (now Case Institute of Technology), Cleveland (Ohio). 1967Obtained MS, Case Western Reserve University (now Case Institute of Technology), Cleveland (Ohio). 1968Obtained PhD in Metallurgy, Case Western Reserve University (now Case Institute of Technology), Cleveland (Ohio). 1968 – 1970Appointee in Metallurgy, Los Alamos Scientific Laboratory. 1970 – 1973Senior Research Metallurgist, Physics Department, GM Research Laboratories, General Motors Company. 1973 – 2005Supervisor, Chemical Materials Science (1973-1980); Associate Division Leader (1980-1981); Deputy Division Leader (1981-1983); Acting Chair, Center for Materials Science (1981-1983); Division Leader, Center for Materials Science (1983-1985); Chair, Center for Materials Science (1985-1986); Director (1986-1997); and Senior Fellow (1997-2005), Los Alamos National Laboratory, Los Alamos (N.M.). 2005 – presentVisiting Professor and Research Professor, Department of Management Science and Engineering (2005-2015) and Co-Director, Center for International Security and Cooperation (CISAC) (2007-2012), Stanford University, Stanford (Calif.). 2009Awarded Enrico Fermi Award, United States Department of Energy. Senior Research Metallurgist, Physics Department, Research Laboratories. Associate Division Leader; Deputy Division Leader; Acting Chair, Center for Materials Science; Division Leader, Center for Materials Science; Chair, Center for Materials Science; Director; and Senior Fellow. Appointee in Metallurgy; Supervisor, Chemical Materials Science; Associate Division Leader; and Deputy Division Leader. Visiting Professor and Research Professor. Obtained BS (1965), MS (1967), and PhD in Metallurgy (1968). Received 2009 Enrico Fermi Award. "Adventures in Scientific Nuclear Diplomacy," Physics Today 64 (2011): 31-37.